Thank you for browsing AtHomeUtah.com and WalkerRealty.com! Salt Lake City Utah! This is the place! Live your lifestyle! Take advantage of the abundant outdoor recreation opportunities found all over Utah. Search ALL homes and properties from ALL real estate brokerages and companies offered on the Wasatch Front Regional Multiple Listing Service (WFRMLS). See addresses, maps, tours, price changes, new listings, time on market, price per square foot and more! 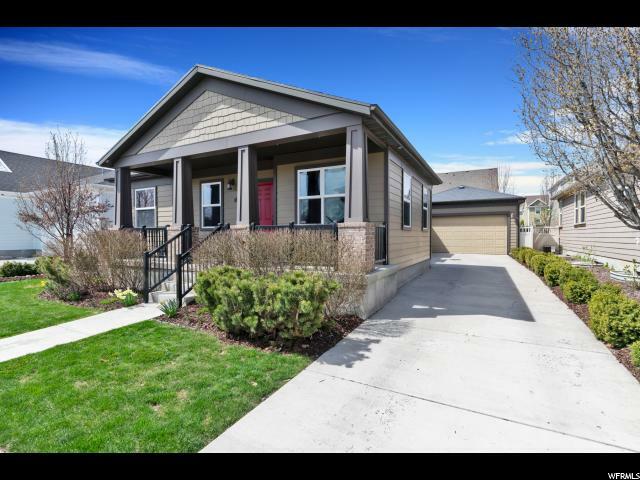 You will not find a better, FREE, home searching experience for the greater Wasatch Front, including Salt Lake City, Draper, Holladay, Murray, Herriman, Ogden, Provo, Alpine, Tooele and the Park City areas, anywhere! At Walker Realty you work directly with the Principal Broker and Owner. Our expertise and unequaled customer service is the key to our many satisfied buyers and sellers all over the state of Utah. Our hands on experience and knowledge of our Salt Lake City, Utah area markets provides the professional, courteous representation and help that buyers and sellers need with the complicated foreclosure, short sale, and HUD/VA transactions as well as the “non distressed” sale. At Walker Realty, there are no "typical sales". Every sale is unique and appropriate attention is given to every detail. 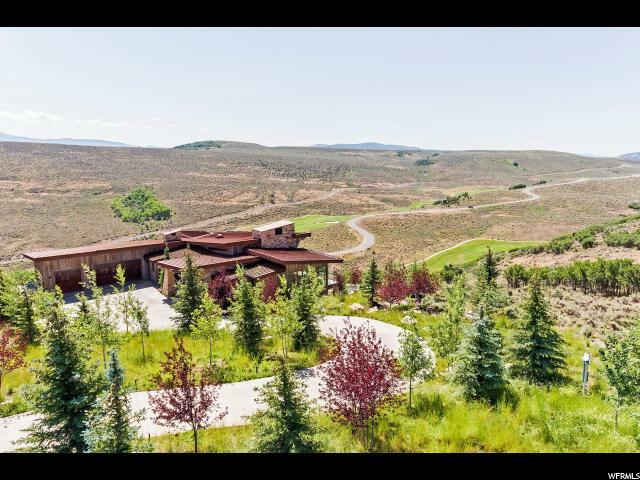 New Park City Listing with 6 bedrooms, 9 bathrooms and 10932 square. "Rarely does the opportunity present itself to own a modern-day manor. Few own a gated 13.61 acres, complete with streams, ponds, and bridge, truly a legacy that is a personal park. Organize a Summer BBQ in your own indoor swimming pool that opens to the backyard and give your friends an experience they will talk about for years. Once you have had your fill of swimming and sun, find rest in your movie theater, steam room/shower, or jetted tub. Come this Winter to experience the greatest snow on Earth, in our 6,900-foot elevation mountain town. " 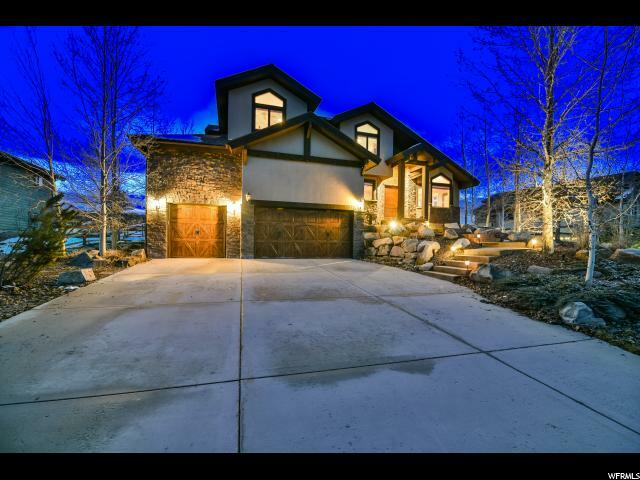 New Park City Listing with 4 bedrooms, 6 bathrooms and 6473 square. "Absolutely amazing views stretching up the Jack Nicholas golf course as it leads into Deer Valley. This home situated in the Aspen Camp Sub-division is without a doubt one of most beautiful Promontory has to offer. Interior design by CC & Co. & Mike Upwall Architecture. Filled with uhpgrades this home comes with a wolf 60 range, Sub-zero all fridge/all freezer appliances, 2 sinks & 2 dishwashers in the gourmet kitchen. The main level entertainment room includes a gorgeous bar, wine room, & pool table. The massive arched stone fireplace caps off the great room & the 45ft long fire pit runs the length of the upper deck. A massive steal entry door, custom reclaimed wood interior doors, elevator, imported light fixtures, carrara marble tub & a sauna are just a few of the custom features. Just a short drive to many of the club amenities including the pool, spa, gym, tennis, multiple golf club houses, the beach club, ice skating, kids cabin and the Shed, which includes bowling & a theater." 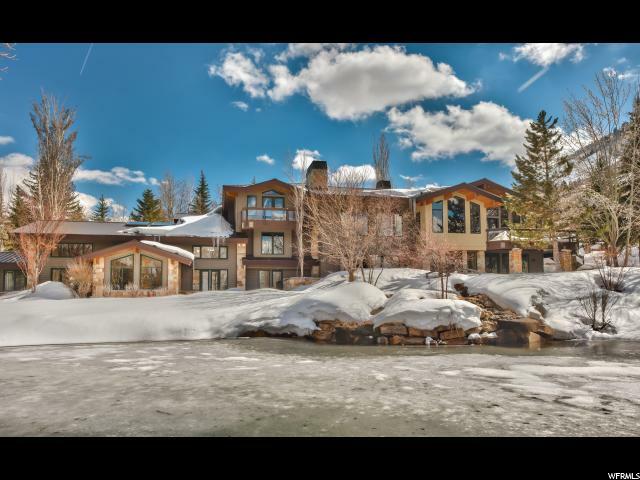 New Park City Listing with 6 bedrooms, 7 bathrooms and 9301 square. "Perched above the 12th & 13th greens this home has absolutely amazing views of all 3 ski resorts. Situated in the Wapiti Canyon Sub-division this Mt Contemporary property is without a doubt one of most beautiful Promontory has to offer. Filled with upgrades this home comes with an all-fridge, all-freezer, Viking appliances, 2 sinks and 2 dishwashers in the gourmet kitchen. The main level includes both a large great-room, family room, office and one of two mater bedrooms. The lower level bar, game room, wine room and theater are just a few of the custom features. Just a short drive to many of the club amenities including the pool, spa, gym, tennis, ice skating, kids cabin, tubing hill, beach club and the Shed, which includes indoor basketball, bowling, and a theater." 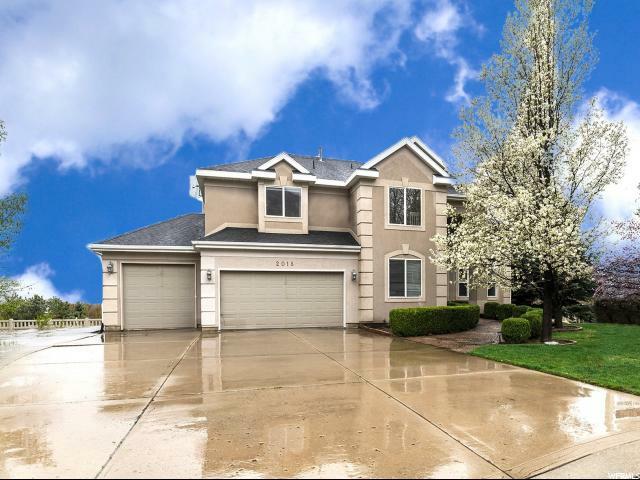 New Cottonwood Heights Listing with 7 bedrooms, 7 bathrooms and 7277 square. "Luxury, design, and privacy at its finest. On a breathtaking 1.56-acre lot near the end of a private lane with a gated entrance, this one-of-a-kind home sits in a little-known wooded area that regularly draws compliments on its location, design and craftsmanship. Park your car in the four-car garage, step across the threshold, and take a moment to bask in the aesthetic opulence that flows freely through every room; from the entryway, formal dining room, library, office, master bedroom (with 2 walk-in closets and a private patio), and theater room. This home features an open-concept design on the main floor living area and includes a formal dining room, study, library, wet bar and extra large kitchen with high-end stainless steel appliances. Walk with pride across travertine & hand scraped hickory wood floors, enjoy custom cabinets and a modern heated driveway and walkway to the front door. This home also boasts a detached art studio with air conditioning, half bath, large exhaust vent hood and wiring/gas line for a kiln, so if you've got a creative spirit, this is the place to let it run wild. Your personal art studio is attached to the master bedroom and main house through a breezeway and wraparound patio. Other comforts this stylish home includes are: an internal sound & intercom system, and a temperature-controlled wine cellar or food storage room. All four bedrooms downstairs have walk-in closets and a separate game/recreational area. The possibility for fun is endless with an emergency backup generator, salt water pool and hot tub, greenhouse, garden boxes, chicken coop. This unique home also has a separate one-bedroom mother-in-law suite with its own private entrance, washer and dryer, air-conditioning, a private patio, and two separate entrances: one from the garage/ north side of the home. This home was built with lasting value of a forever home in mind. Square footage figures are provided as a courtesy estimate only and were obtained from blue prints. Bu"
New Park City Listing with 5 bedrooms, 5 bathrooms and 5667 square. "This fantastic home is situated in the highly sought after area of Trailside Park. Commanding ski resort & mountain views. Backing directly to open space behind the home that takes you to hiking/biking trails and the Round Valley Trail system. The home has an open floor plan with soaring ceilings on the main floor. The formal living/dining area greets you as you walk through the front door. An office and a powder room as well. The great room has a lovely fireplace for those cold nights and a large gourmet kitchen waits for the new chef of the house. The over-sized master bedroom has a fantastic en-suite with a steam shower and huge walk-in closet. Retreat through the french doors to a covered patio complete with a romantic hot tub. The 3 bedrooms and 2 baths on the second level are spacious and inviting. There is also a second family room complete with a fireplace and a wet bar. The oversized 3-car garage has an entrance to the lower level of the home. Enter into a well thought out ski prep room and an enormous storage area. A large 3rd family room, 4th bedroom, full bath and the beginnings of a wine room complete this fabulous home. The exterior has been expertly landscaped with sitting areas in front and in the back, a large patio with outdoor fireplace. A perfect home in a fabulous location." New Holladay Listing with 6 bedrooms, 4 bathrooms and 5526 square. "Gated community known as Quail Hollow in a fabulous Holladay location. This home is tucked way back on a quiet cul-de-sac with stunning mountain views. The interior was all redone with great style and care within two years, and the yard was just redone completely with a huge paver patio as the highlight. Sun filled spaces are super open with large windows. Some spaces are vaulted. Rich walnut plank floors extend through the main, set off by crisp light grey walls. A main floor den plus a charming sunroom add appeal. The living spaces have the ultimate flow. The kitchen is all white with stainless appliances and quartz slabs and European marble subways. An island plus open bar make it work perfect. Upstairs, three bedrooms include a grand master retreat with huge closet space and elegant spa bath with modern styling. The lower level has three bedrooms, a rec/theatre space and tons of storage. Don't miss the side parking pad and the large wonderful yard. This community has a tennis court and special picnic/play area. A wonderful place to live!" New Sandy Listing with 7 bedrooms, 5 bathrooms and 5443 square. "Welcome Home to your spacious two story home with vaulted entry way has 5,443 Sq. Feet, 7 Bedrooms and 5 Bathrooms. The office on the main floor can possibly be used as an additional 8th bedroom. Formal dinning room located next to a custom gourmet kitchen. Includes Refrigerator, Microwave, Trash Compactor, Viking Range with griddle, grill and prep sink. Granite Counter tops with large bar and room for large kitchen table. Kitchen opens up into the family room. This is perfect for large family gatherings. Upstairs has 4 Bedrooms including the large Master Suite with Gas Fireplace. Enjoy soaking in the jetted tub with the cozy fireplace. Large walk in closet. Two Laundry rooms one located upstairs. Basement has kitchen, 3 bedrooms, large family room for a home theater. Very large cement pad for plenty of RV parking to accommodate motor home, boat and toy hauler. Fully fenced yard with large basketball standard. Fruit trees Pear, Apple, Peach, Plumb, Cherry. Kids can walk to Elementary and Jr. High Schools. Come check out your DREAM HOME!!! Please give at least 2 hours notice to show home. Square footage figures are provided as a courtesy estimate only and were obtained from tax data. Buyer and Buyer's Agent are advised to verify all information and obtain an independent measurement. " New Salt Lake City Listing with 6 bedrooms, 4 bathrooms and 4956 square. "Rarely available and conveniently located in the private neighborhood of Creek Bend. This beautiful home has all the amenities that you could ask for including, granite counters, plantation shutters, hardwood floors, an integrated water filtration system, tankless water heater, and a finished basement. The yard is fully landscaped with mature trees, a 3-car garage, and a home solar system for some extra savings on the electric bill. This one is well cared for and a must see! Buyer to verify all info including sq ft."
New Draper Listing with 5 bedrooms, 4 bathrooms and 4672 square. "Welcome to this Draper Beauty- situated on a lush .40 acre fully-fenced lot, -near the foothills of the Eastern bench- minutes from hiking trails, biking trails, and outdoor recreation. Amazing views from almost every window, plus a large deck to enjoy the spectacular evening sunsets. This home provides an open floor plan with 5 bedrooms, 4 baths, vaulted ceilings, cherry wood flooring, formal dining and living rooms, Chef's kitchen with Viking gas range and dishwasher, two family rooms, master suite with private bath- jetted tub, double vanity, and walk-in closet, laundry room/work out area -near bedrooms upstairs, three car garage, walk-out basement, huge game room area down, RV parking, tons of storage and located in a quiet cul-de-sac, PLUS*Community/ neighborhood pool and tennis court. " 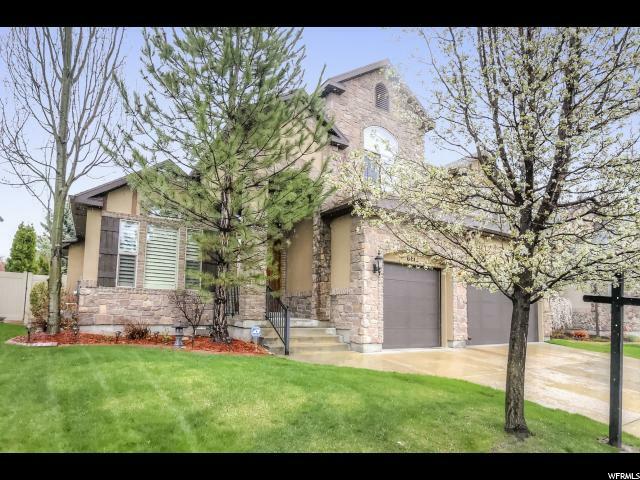 New Salt Lake City Listing with 4 bedrooms, 4 bathrooms and 3006 square. "Alpine living yet so close to UofU, Downtown and Park City. This is a Twin home that does not share walls or roof, lives like a single family home. Beautifully updated home, Custom Gourmet kitchen with Granite Counters, Jen Air gas range, Double ovens, full sized separate Fridge & Freezer, Real Slate floors. Open vaulted living room with reclaimed barnwood floors, Theater room complete with lazyboys and all equipment. Master suite with Steam Shower, Lg. Walk-in dressing rm & Closet, 80 Mbps Fiber Optic System, Brand new 98% efficient heating system, tankless water heater, central air are all less than 10 months. Painted Finished Garage. Enjoy over 700 square feet of secluded decks for relaxing or entertaining. " New Sandy Listing with 3 bedrooms, 3 bathrooms and 3603 square. 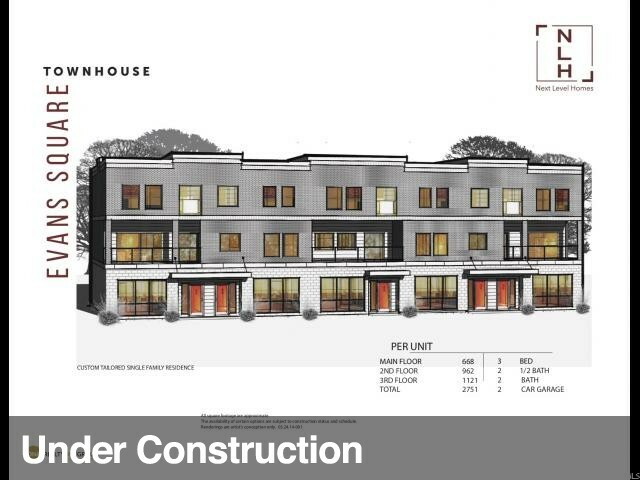 "Last 2-story READY FOR IMMEDIATE OCCUPANCY! Stunning 2-story with upgrades and comforts throughout. Massive 2-story vaulted ceiling, main floor office with French doors, oversized windows throughout bring in ample daylight, granite and quartz countertops. Beautiful open floor plan is perfect for entertaining in large kitchen with extra thick block granite counters, stainless steel appliances, upgraded soft close cabinetry, walk in pantry, built in desk area for kids homework sessions, all open to nicely appointed family room with gas fireplace and built in bench seating. Three bedroom up with laundry room, including a spacious master suite with private deck, large garden tub, Euro-glass shower and big walk-in closet. Oversized 2-car garage and nice location in community near pickleball court. Never do yardwork with low HOA fee"
New Draper Listing with 3 bedrooms, 3 bathrooms and 4858 square. 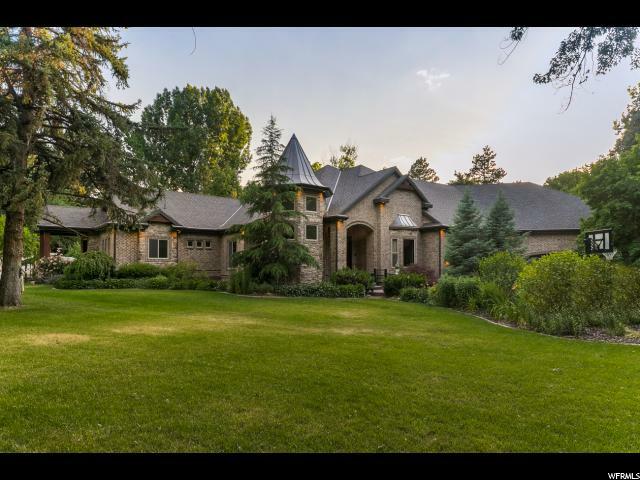 "Beautiful manicured .56 acre lot invites you to entertain when you walk out the French doors to a view of the Wasatch mountains. Access to Draper Canal Trail AND Porter Rockwell trail just outside your door. Exterior features include All Brick, Pella Windows and 30 year roof. Interior features Hardwood Floors, 2 Unique Fireplace Mantels and French door off the master suite . Custom Built for the sellers. " 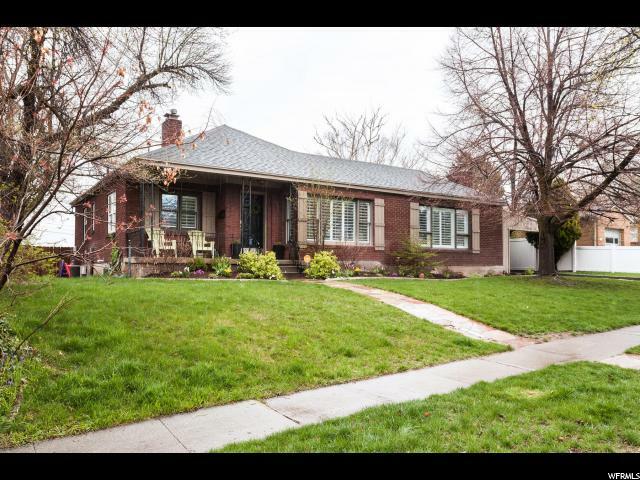 New Salt Lake City Listing with 3 bedrooms, 2 bathrooms and 2500 square. "Stunning master suite on the entire 2nd level, 2 spacious bedrooms and full bathroom on the main level accompanied by a fully renovated and updated kitchen, formal living room, formal dining room all with incredibly high ceilings and top of the line finishings. For an added bonus; a finished basement perfect for a play room, additional bedroom or more... No stone was left unturned when renovating this home. Simply said, it will take your breath away. 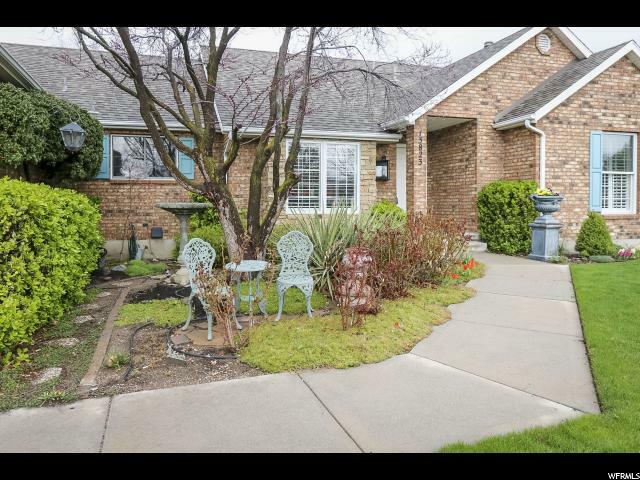 Minutes from downtown Salt Lake City! Don't miss out on the opportunity to make this house your home! " 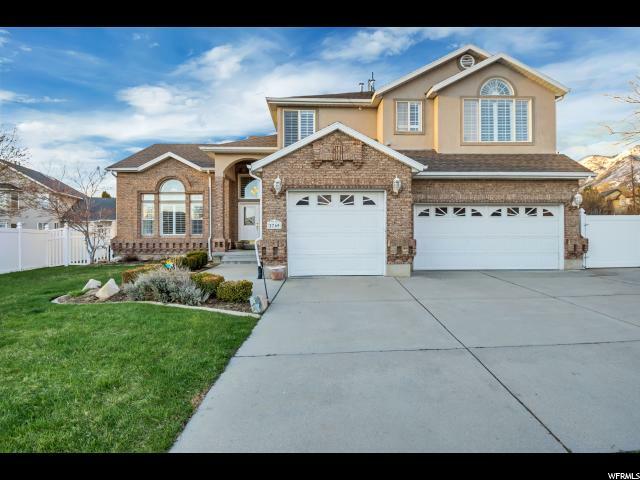 New South Jordan Listing with 4 bedrooms, 5 bathrooms and 4332 square. "Charming European Romantic Daybreak Rambler located on a corner lot showcases desirable main floor living, stunning laminate flooring and plantation shutters throughout! Custom arched entry door leads to a lovely daylight flex space, perfect for an office, formal living room and more. Contemporary interior features open spacious Great Room with cozy fireplace and lovely subway tile chef's kitchen with crisp white cabinets, upgraded pull out drawers, Quartz counter tops, stainless steel appliances, gas stove with gourmet Stainless steel hood. Unique stylish Butler pantry leads to a huge walk in pantry with window! Beautiful Master Bedroom highlights his and hers double closets and an over-sized bright Master Bathroom with double vanity. Entertain in the FULL finished basement which includes a Theater room and 7.1 surround sound! Cozy back patio is perfect for relaxing and is equipped with an outlet ready for a hot tub. Home also features a wonderful custom built mudroom complete with cabinets, cubbies and bench. Large dedicated spacious storage room in basement. 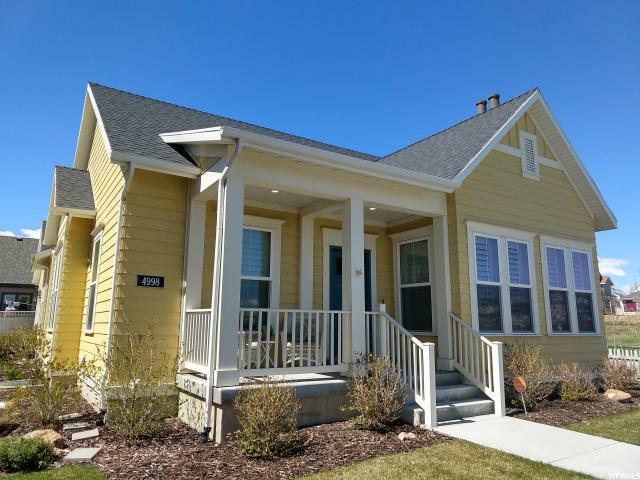 Located in Daybreak's Highland Park, you can enjoy all of Daybreak's amenities as well as walk to the The Hub and community outdoor pool, cafe, bicycle highway and huge South Jordan City Highland Park. Don't miss this home! MUST TOUR!!!" New South Jordan Listing with 5 bedrooms, 4 bathrooms and 4240 square. "Terrific west facing Rambler on Quiet cul de sac. Updated kitchen in 2013, walk in pantry, double oven, flat top range. New 90+furnace in 2014, New roof 2013, new vinyl windows 2012. New Central Air 2017. Tile in entry, kitchen, and baths. Nice Master with large walk in closet, separate jetted tub and shower. Steps away from fabulous Jordan Ridge Park, huge family room down, space for pool table, some new carpet & paint, 18x22 deck. Wired for hot tub/separate circuit, Incredible mountain views. Fireplace key in basement rec room. Rough plumbed for central vacuum system." 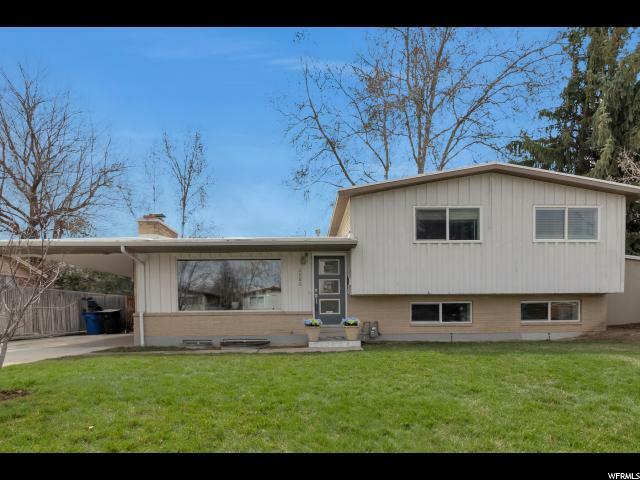 New Salt Lake City Listing with 4 bedrooms, 2 bathrooms and 2345 square. "Classic Brick Rambler in Beautiful Highland Park! Open, flowing floor plan with tons of natural light. Exquisite Travertine floors in entry, dining, and kitchen. Oversized family room with sliding doors to covered deck and large backyard. Updated Kitchen with beautiful white cabinets and Stainless steel appliances. Knotty Alder Crown and Base moldings. Beautiful city and mountain views...watch the 4th of July fireworks at Sugarhouse Park right from your own backyard! Well maintained landscaping with mature trees. Perpetual Membership to Salt Lake Swimming & Tennis Club ($1,788/year value) included in this purchase. This home is a MUST SEE!!!" New South Jordan Listing with 5 bedrooms, 3 bathrooms and 3336 square. "Live in beautiful Garden Park at Daybreak (only 1 person living in the home must be over 55) Home is located on a quite street with maturing landscaping and large yard with grass. The adorable picket fence separates your private yard from the grass/treeline area out front. The West facing patio is perfect for out door eating and relaxing. 5 bedrooms - 3 bathrooms a separate study or den . lots of updates when the home was built to include Heated bathroom floors - Front door viewer - Custom built Shutters . 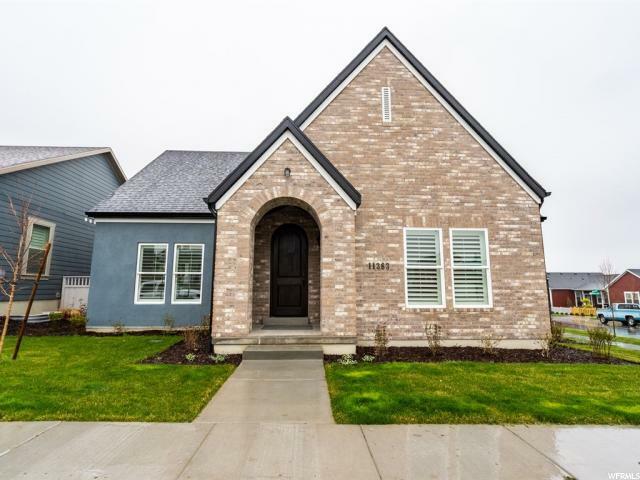 Home is close to trax walking trails, the lake, shopping, hospital, entertainment, and the exclusive club house with seasonal swimming pool and daily work out room and other club house activities. A must see!!!" New Holladay Listing with 6 bedrooms, 4 bathrooms and 3768 square. "Newer roof, new gutter, newer cabinets, basement updated with new sheetrock, insulation, carpet, paint, trim framing. Updated upstair bathroom with new vanity, shower, tile. Newer furnace water heater, SS appliances. " New Draper Listing with 3 bedrooms, 4 bathrooms and 2751 square. "UNIQUE LIVE/WORK AVAILABILITY NOW IN DRAPER!! Over 600 Sq ft RETAIL space with more than 2000 Sq ft of LIVING space. 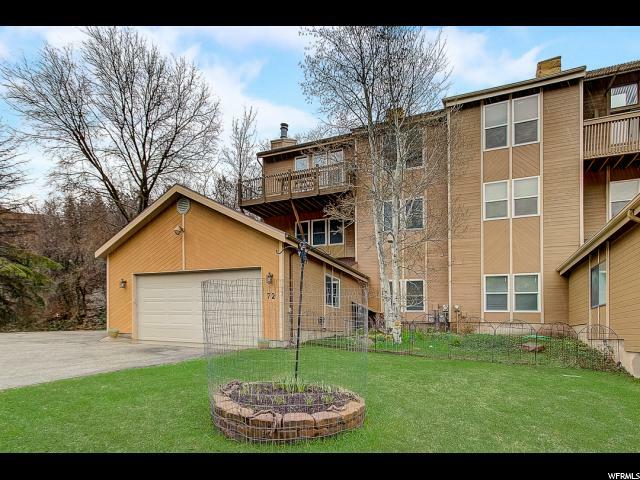 Tax Savings Available **Beautiful Mountain Views **Centrally Located **Easy access to Trax **Walking Distance to Fine Dining and Grocery Shopping. **Retail space offers 2 Parking Stalls and Bath. **Live space Offers; Over-Sized Island, Stainless Steel Appliances, Granite, Sliding Glass Door leading onto Deck, X-Large Great Room, Separate Master Bath, Double Sinks, Walk-In Closet. " 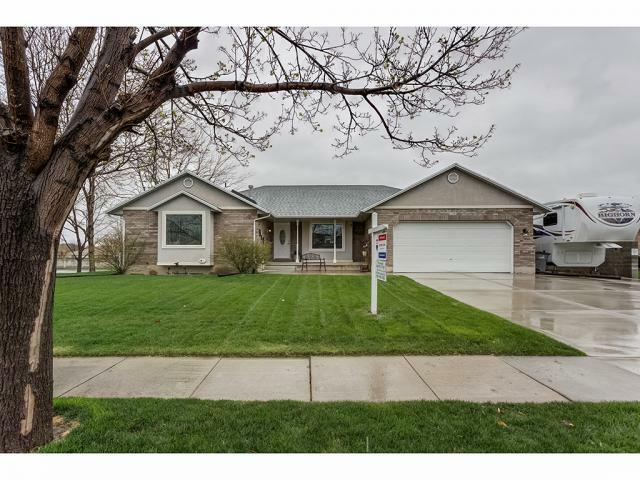 New South Jordan Listing with 5 bedrooms, 3 bathrooms and 3260 square. "Fully Finished Home with open concept. The main floor has the master bedroom two additional bedrooms, laundry, den/office, living room with fireplace, and semi-formal dining room. The basement is completely finished with newer paint and carpet. There are three storage rooms, two more bedrooms, 9' ceilings, large family room, and full bath. If you need lots of nice space, this home is perfect. The yard is also complete fenced in and has fruit bearing trees. This home is a catch. "